The light management system market is projected to grow from an estimated USD 11.66 billion in 2018 to USD 21.51 billion by 2023, at a CAGR of 13.03%, from 2018 to 2023. The increasing adoption of energy-efficient lighting driven by cost savings and government policies worldwide is boosting the market for light management systems across the world. Indoor light management systems are predominantly used in the commercial sector due to factors such as energy-efficiency and cost savings. Light management systems form a key part of building automation systems. The markets in Asia Pacific, North America, and Europe are expected to grow exponentially due to the increasing demand for indoor light management systems from commercial end-users in China, India, the US, and Germany. North America is the largest market for light management systems, followed by Europe and Asia Pacific. The North American market is expected to grow at a CAGR of 13.24%, from 2018 to 2023. The market for light management systems in the US is expected to be driven by increasing office and commercial space developments and the need for flexible control of lighting systems as well as energy savings. In-depth interviews have been conducted with various key industry participants, subject-matter experts, C-level executives of key market players, and industry consultants, among other experts, to obtain and verify critical qualitative and quantitative information, as well as to assess future market prospects. Note: The tier of the companies has been defined on the basis of their total revenue; as of 2017: Tier 1 = >USD 5 billion, Tier 2 = USD 1 billion to USD 5 billion, and Tier 3 = The leading players in the light management system market are General Electric (US), Philips Lighting (Netherlands), Eaton (Ireland), Zumtobel (Austria), and OSRAM (Germany). The report provides a picture of the light management system market across multiple segments and regions. It aims at estimating the market size and future growth potential of the market across different segments such as type, application, end-user, function, and region. Furthermore, the report includes an in-depth competitive analysis of the key players in the market along with their company profiles, recent developments, and key market strategies. 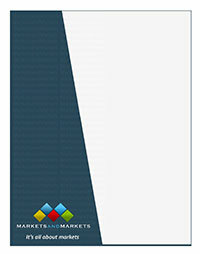 For the purpose of this report, the market has been segmented on the basis of type, application, end-user, function, and region with a focus on industry analysis (industry trends), market share analysis of the top players, supply chain analysis, and company profiles, which together comprise the basic views on the competitive landscape, emerging and high-growth segments of the light management system market, high-growth regions, and market drivers, restraints, and opportunities. 1. The report identifies and addresses key markets for the implementation of light management systems, which would help manufacturers review the growth in demand. 2. The report helps solutions providers understand the pulse of the market and provides insights into drivers, restraints, and challenges.